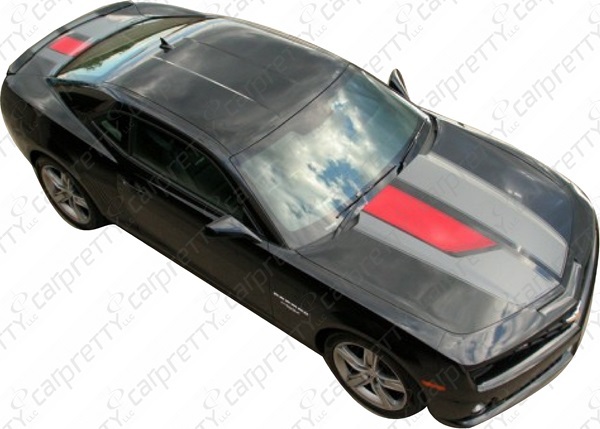 This 45th anniversary style rally stripe kit is made for a 2010-2013 Chevrolet Camaro. 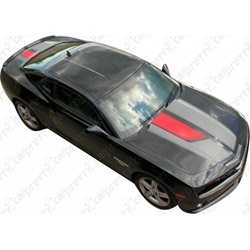 The kit starts on the hood and includes the deck lid and spoiler of the Camaro. 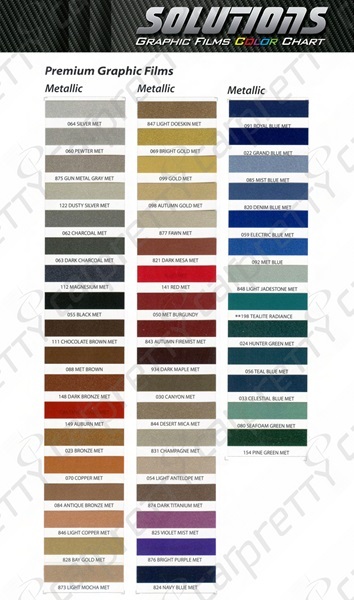 Please specify in the comment area which color you would like for the main stripe and which color you would like to have for the insert pieces. 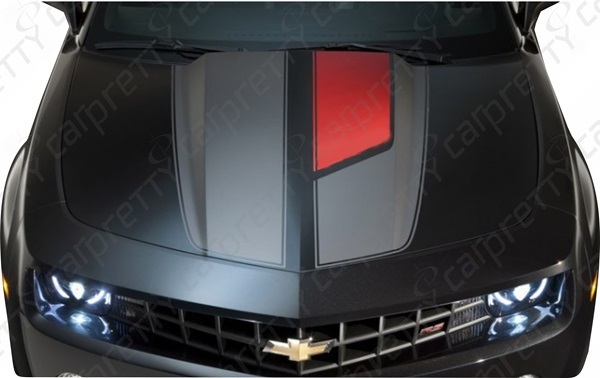 You will receive ready to install graphics for all portions of the vehicle. 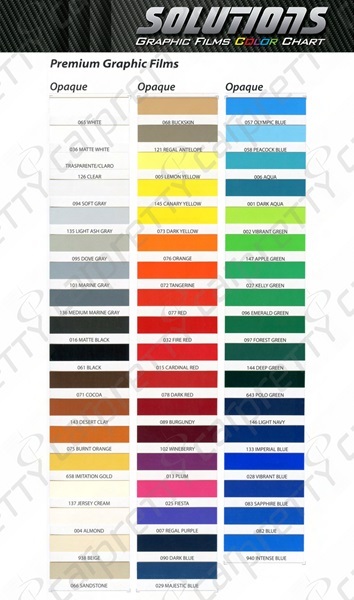 When purchasing this graphic kit, the color that you select will be the main color of the graphic kit (the black portion of the picture above). 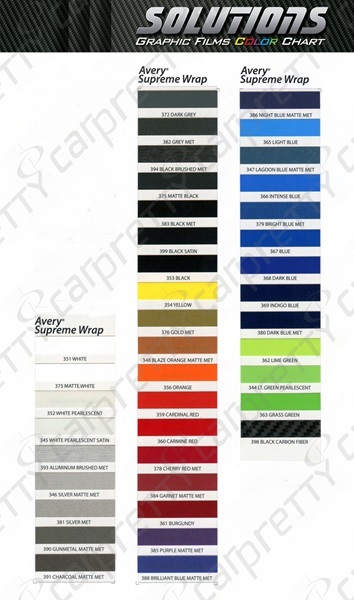 Please pick the desired color of the second portion(the red portion of the picture above) from the list above and put it in the Notes/Instructions area when checking out under the shipping and payment screen. When purchasing multiple graphic kits that have text, please refer to the part number beside the desired text for that graphic. Part numbers can be found at the bottom of the overview for each graphic.